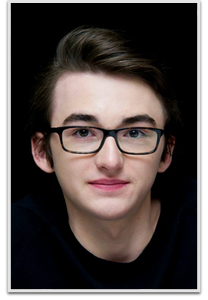 Isaac Hempstead-Wright is an English actor. He is best known for his role as Bran Stark on the HBO series Game of Thrones, which earned him a Young Artist Award nomination as Best Young Supporting Actor in a TV Series. Hempstead-Wright started acting in commercials and studied acting at the Kent Youth Theatre in Canterbury. He made his film debut in The Awakening, but his big break came when he played Bran Stark in the hit television series Game of Thrones. He was part of the initial starring cast and remained a member of the starring cast for the second, third, and fourth seasons, which earned him two Screen Actors Guild Awards nominations as Outstanding Performance by an Ensemble in Drama Series at the 18th and 20th Screen Actors Guild Awards. He did not appear in Season 5, but returned as part of the main cast in season 6. Hempstead Wright also starred in the 2013 crime thriller Closed Circuit. In February 2014, Laika announced that he provided the voice of Eggs in the animated fantasy-comedy film, The Boxtrolls.